A ghost hunter and a cryptozoologist open their case files to explore what happens to people who confront unexplained phenomena. A woman stranded at night on a highway sees a set of luminous eyes, eight feet off the ground, staring at her. She smells sulphur, an aroma often described by witnesses of alleged Sasquatch encounters. At a dance studio, the owner witnesses doors slam in front of people.  Objects move. A phantom black ball bounces down a set of stairs and vanishes. Up on a hill overlooking the forest below, a hunter looks down to see a two-legged, four-foot, chestnut-colored creature sixty feet away. Frozen in fear, he watches as the beast steps over a stone wall and turns to look at him. A young boy tries to hold his sister’s head underwater in the bathtub. When asked why, he explains that Katie, the ghost of a girl who visits him, told him to do it. 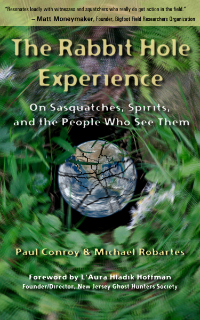 All four people—and others encountered by authors Paul Conroy and Michael Robartes on Sasquatch expeditions and ghost investigations—fell down the rabbit hole. They experienced what most people would call impossible. But how, exactly, did their lives play out after their belief systems shattered and their emotions ran wild? Did they tell what happened to them? Did they hide it? Who are they, and do they have anything in common? After years on the job, Conroy and Robartes find themselves as fascinated by the witnesses as they are by ghosts and bigfoots. To outright deny what people experience is unscientific, they say, though both employ science, logic, and technical equipment in their work. The larger question they explore is what such experiences reveal to the rest of us about the nature of reality and our place in it.